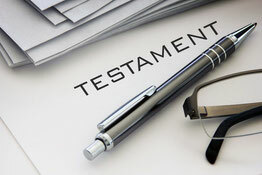 In cooperation with the Spanish notary you can contact us for the preparation and death of a public Testament for your Spanish possessions and for the drafting and/or translation of proxies. We also assist you and/or the other relatives in the event of the death of your partner and we deal with everything in Spain, in cooperation with a specialist in this field. We will guide you from start to finish when setting up your company in Spain and also offer us to realize the bookkeeping and fiscal admin. We work together with various Spanish lawyers and architects in various fields. And of course you can also set us up as a tax representative to arrange issues with various institutions for you.